Fabulous Halloween wreath, Monika. I love this! Gorgeously designed. Love your beautiful arrangements of the flowers, berries, pinecones, pumkins, bows, etc. You felt pumpkins are so adorable. Inspiring use of this Tilda for Halloween. What a fabulous wreath! Nicely done. Thanks for joining us at Magnolia Licious. Such a beautiful Halloween decoration...lovely details. Thank you for joining our challenge at Stamp and Create with Magnolia and we would love to see you again soon. 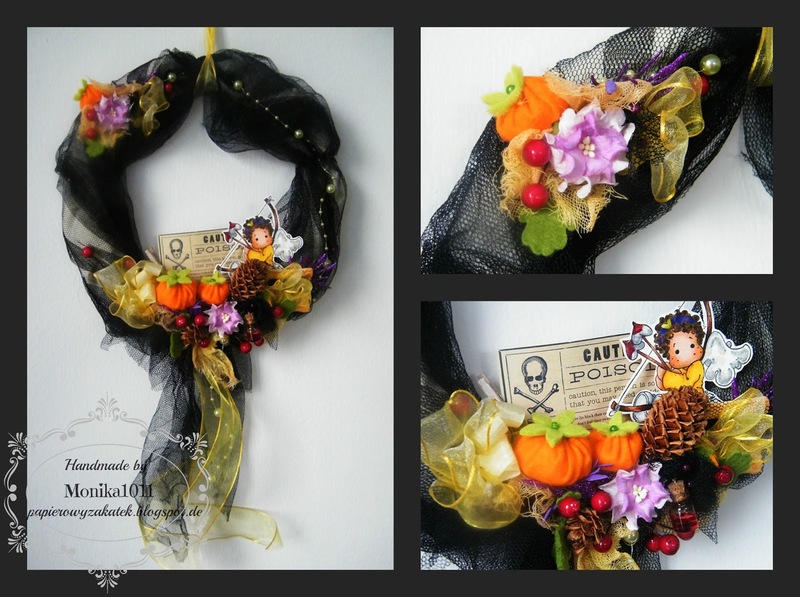 Lovely Halloween creation. Thanks for joining us at Midweek Magnolia.